I have a bit of a problem. I'm a bit in creative envy of those Crafters who can walk through a store and see the potential in anything. I wish I could see outside the box when I'm walking through a store. Usually my inspiration hits late at night when I'm laying in bed, then I kick myself for not having bought something that I could make into a (in my mind) uber cool project. 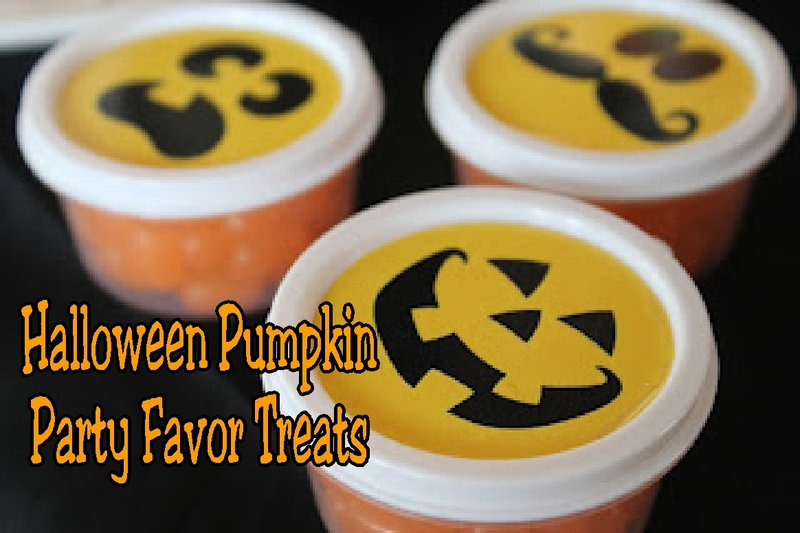 When I got home, I started my Halloween creative madness and these were in the back of my mind stewing around. It wasn't until I started making some Hershey Kiss Pumpkins that these favors called out to me. The favor lids were a perfect 2 inches in diameter. 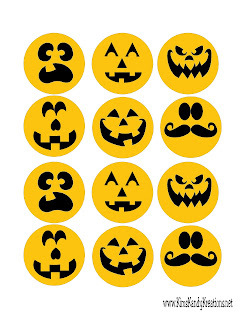 I resized some of my favoite Pumpkin Kiss sticker graphics, printed them out, and used my Xyron to sticker them up. I filled each of the containers with some orange Sunkist Jelly bellies and stuck the sticker on top. I ended up with a super cheap and easy party favor treat for my Halloween guests! In case you want to run to your local Dollar Tree, here is the free printable for you to make these fun treats too.